Remember to Vote YES if you are for late night hours, NO if you oppose. Because Texas ends alcohol sales at 2 a.m., MADD wouldn’t oppose cities extending to that timeframe. Per our Uniform Bar Closing position, MADD would be against a location/city extending sales past 2 a.m.
Scott Ellis: On the show today Deputy Mayor Pro Tem Jeff Cheney is back in the house. We are going to talk all about the 2am ordinance that you guys are voting on right now with the official election happening on November 4th. This is the Frisco Podcast for October 31, 2014. All right Jeff thanks for coming back in. Good to have you here. Jeff Cheney: Hey. Thanks for having me again. Scott Ellis: This has been an issue in Frisco for a very long time. I didn’t even realize earlier this year that this was going to be coming up for a vote again so I’m glad to see that it is. Scott Ellis: Has this been on the agenda for a while? Jeff Cheney: You know it actually has not. It’s been a relatively quick process to get it back on the ballot. Actually seeing it on the agenda caught many of us council members by surprise, but it is on the ballot. This issue does have a long history here in Frisco. In fact it’s funny because we first dealt with this, I think it was my third council meeting when I was first elected back in 2007. Talk about really stepping right into the fire as a council member. The history of this item is really … City Council including myself back in 2007 did decide to extend late night hours to 2am in Frisco. That passed by council rule. Now there is checks and balances that are available to our citizens, one of which is if our citizens don’t like a decision we make they can actually petition to put the item on a ballet, so that is exactly what happened. Back then, I think it was only 500 to 1000 signatures I think required to put an item back on the ballot. Some citizens were successful in doing so and so it showed up in the May 2008 ballot. Then the ordinance actually failed by popular vote so we essentially went back to closing times at midnight based on that. Scott Ellis: Okay. So on one hand we’re glad to see that the system works and there are opportunities for the citizens of Frisco if they’re not agreeable with something that’s been decided to change that. However, I know this is also a particular issue that a lot of people, myself included, are very hopeful will get passed along. I know there’s a lot of people that are pushing for that right now. Jeff Cheney: Yeah, in fact even when it was on the ballot back in 2008 there were quite a few people that essentially sat on the sidelines because they were aware of the rule that if a county’s population is over 800,000 then it actually becomes 2am by right so you wouldn’t need a ballot. People were expecting that our 2010 census would have Collin County at over 800,000 and it would become automatic. A lot of people weren’t as passionate about passing it a couple years earlier prior than it becoming just an automatic rule. Well it ended up being that our population ended up 10,000 to 20,000 short of that so it did not become automatic. That’s why I think a lot of people now are saying okay it’s been a good six years since that, we now know that it would be 2020 before it became automatic. With all the growth happening in Frisco there’s a lot of people that think now the time is right. So as we’re developing the second half of the city, it’s done with this new ordinance in place. Scott Ellis: Yeah. Very good. Good case in point as why getting out and voting really does matter. Scott Ellis: Even though we were kind of hoping that we would get over that threshold … and the interesting thing about that is that was for Collin County, right, the 800,000 which means that there’s close to a half of Frisco that’s in Denton County that wouldn’t necessarily have that apply. Jeff Cheney: That’s absolutely true. So had that come into effect then we would have had the decision of saying do we want different closing times at different parts of our city. That’s actually one of the big driving forces behind this issue. In our Police Department and many of the officers I speak with and just seeing it with my own eyes, consistent closing times with your surrounding communities, in my opinion, is actually a safer policy to have than different closing times. We see it every Friday or Saturday night where our citizens may be at a restaurant until midnight and rather than deciding to go home they’ll jump in their car, they’ll drive to Plano and continue their evening, putting them in the car multiple times, having them drive further. Then on top of that they’re not staying in the same establishment where the same bartender can monitor their drinking. Our police officers can’t really monitor as well where they’re coming from versus if we know there are some areas that there’s likely people that have drank too much coming from we can keep a closer eye on that. We feel it’s actually a safer community if we go to consistent closing times with our surrounding neighbors. Scott Ellis: Yeah and there’s undoubtedly some business impacts to that as well. We’ll get into that in a minute. We reached out to MADD. For a lot of people that may not realize they’re actually based here in Dallas, have an office out in Irving. While they declined to come on the show they did say that they do … it’s not specific to our ordinance but they do have a policy or a position that supports consistent hours with the cities around you. Not necessarily extending it beyond that, in fact they said they would not be in support of that, but having the same hours as our neighbors does make sense to them as well. They’re obviously in the business of keeping a close eye on those things and understanding the impact of it. Jeff Cheney: Yeah. Absolutely. There’s a couple of things surrounding this issue that voters should keep in mind. One, of course, the most important is our community’s safety. That’s one. Then obviously there is certainly financial implications and business implications of the ordinance. Other things that me, as a resident, I like to keep in mind with this is that unfortunately people that are going to choose to be irresponsible with their drinking, that happens all times throughout the day. Whether that’s someone rolling off the golf course at 3:00 that maybe drank too much or leaving Frisco at a restaurant at midnight or going to Plano and staying until 2am. Obviously first and foremost we want our residents to be responsible with their drinking when they do choose to drink. Again with the consistent hours we think that is going to be a safer environment. The other thing is that we actually have a teen curfew here in Frisco. Scott Ellis: I didn’t know that. Jeff Cheney: We do. Yes. It is actually midnight. To me I just think it’s a little ironic that we are telling our citizens that have been out drinking and our teens that we want you on the road at the same time. For me, if someone has drank too much and chooses to make the poor decision of getting behind a wheel and driving their car I would rather them be doing that later in the evening than at midnight when our teens are trying to get home. That’s another issue we like to keep in mind. From the safety aspects, it’s my personal opinion that Frisco will actually be a safer community if we do choose to go to 2am. A lot of people who vote will choose to vote against this. I think it’s very much an emotional decision when that happens. I respect all individuals who just think drinking itself is a bad thing and they will oppose any measure that makes it easier to drink or you can drink later in the evening. I feel that if you really take the emotion out of it, look at the logic, Frisco will be a safer community if this does pass. Scott Ellis: I think from a practical standpoint a lot of people feel that way. There was an interesting statistic that I saw that the City of Plano went to late night hours in 2005. Just to show you that the real world doesn’t always follow common sense, the next year their DWI and alcohol related driving incidents actually went down about 3%. Whether or not that’s statistically significant, I’m not the right person to say. That certainly says that extending to those late night hours is not going to cause a spike in incidents or an increase in incidents the way I think some people are concerned that it might. Jeff Cheney: Absolutely. We’ve looked at that same data and actually had personal conversations with Plano and other communities as well that have chosen to go late night and they’ve basically all said the same thing which was no impact to it. Then on top of that I think it would make all the communities safer and work better together if we all had consistent times. Me as a citizen, I’m just speaking on behalf of myself, I hope it passes for that reason the most but certainly I will get into some of the economic reasons that people may want to consider passing as well. Scott Ellis: That’s a good segue into the business side of this now. I think we’ve addressed the safety issues and hopefully people are keeping that in mind. Then there’s all the revenue that we’re sending away. There’s the revenue that, at least potentially, and I’ve actually spoken directly with some people who have experienced this first hand, that may just not be coming here because of that. If somebody could come here for a conference, and it’s a little weird to say to their conference goers who are having a nice time, having some drinks at the hotel bar, or whatever the case may be, well if you want to keep going you’re going to have to leave. You got to go down to Plano now. That just doesn’t make sense. They may come once but the next time that conference comes they’re probably just going to go stay in Plano. Jeff Cheney: That’s right. In our CVB or Convention of Visitor’s Bureau, that is one thing they consistently give us feedback on, as well as our hotel partners. They are no doubt losing business as a result of us not having the late night hours because the conventions when they do come, we’ve all been out of town to conventions usually you’re going out with your colleagues and that’s an opportunity for you to get to know them better and network and do those things and they want to stay out later than midnight typically. Most people don’t want them getting in the car to have to drive to it. So absolutely it does make a decision in booking the events. That’s a big piece of it. Obviously we’ve got the Embassy as a Convention Center. We’re actually looking to potentially add even another convention center here in Frisco. That’s really a big piece of our tax base, drawing those types of events in, getting them here, they’re spending money in our community, at our mall, eating at our restaurants. It’s a huge tax base for us. We’re definitely slicing a quarter to a half of our pie of opportunity out of there just because of that one ordinance that’s out there. Scott Ellis: Yeah. So what about some of the other business impacts? What else can we talk about? The tourism piece is certainly one big part of it, but I’m sure that’s not the only thing we’ve got to consider. Jeff Cheney: They’re calling last call before you actually count down the ball. We have heard many stories of some of the types of restaurants that normally you would expect to see in a community like Frisco that aren’t here. You drive around and you just see it with your own eyes. That’s probably one of the biggest complaints I get here on City Council. Our residents are saying you know what I love everything about this community, we never feel like we have to leave here, we’ve got the sports, things for my family, everything is here, the shopping, but we don’t have fine dining. We don’t have those destination restaurants. We’re leaving to go to Plano for that. Truthfully I think we’re going to be limited on what we can attract, we’ll be more locked into chains and those types of establishments without having this ordinance. That’s a big piece of it, we’ll be able to attract a higher caliber of restaurant which is crucial right now because we’ve got some major developments happening. We’ve talked a couple weeks ago about the Wade Crossing and what they’re trying to do there and the Cowboy’s Developments and stuff happening around the ballpark. There’s going to be cranes along the toll way here for the next five years. Scott Ellis: Are we going to start looking like Dubai? Jeff Cheney: That’s right. We will. Yeah. Especially with the new Dubai development coming. Scott Ellis: There you go. Jeff Cheney: You know if this is successful here in the next couple of weeks I think you’re going to really start to see those commercial brokers making a pitch for some of these high brand type restaurants that we’re hoping to come to Frisco. 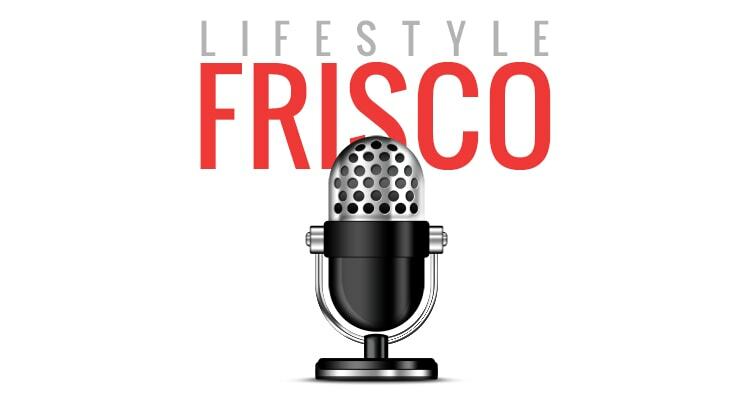 Scott Ellis: Well I know we’ve done several polls on Lifestyle Frisco and one of the consistent pieces of feedback that we get is the same. The one thing we don’t have enough of is a little bit more night life, a little bit more fine dining. Stuff that’s geared at adults. Love the kids, got lots of stuff for them already, we want some things for when we want to go out. That also ties back into the hotel and tourism and convention business that we talked about before as well. They’re going to need places to go to dinner. They’re not just going to hang out in the hotel. We love Chili’s but you’re probably not going to go there for your business dinner, so we need to take these things upscale a little bit more. Jeff Cheney: Absolutely. That’s one thing on the council that we’ve always tried to work really hard on is trying to identify our holes, which means what are our citizens leaving Frisco for? Years ago we didn’t have a big box retailer like a Costco, so that was a priority. Everyone was going to Plano and spending their money there for their bulk goods so that was a priority getting Costco here into Frisco. Now really that’s it. We need a better entertainment district. We need more night life. Our hole right now is we’re losing people to go to Plano for their adult entertainment, and then also going down to Water’s Creek and other communities. We hope to be able to provide that for our Frisco residents here in the next couple of years. Passing this will be a big shot in the arm for that. Scott Ellis: All right. Very good. Let’s take that opportunity to then move into the vote itself. Early voting actually began October 20th so you’re already in the thick of it. It runs through October 31, so if you want to do early voting you got to get it done by this Friday. The election day is on November 4th so we’re coming up on that pretty quickly. There’s a little bit of confusion on the language of the ballot so we want to make sure that it’s very clear to everybody when you go out to the polls and you’re going to place your vote, what you’re voting for, depending on which side of the fence you’re on. Jeff Cheney: That’s right. This ballot item was a real challenge for our attorneys to draft because technically what’s happening is the voters are deciding whether they want to appeal the ordinance that appealed the vote that City Council took. It’s not easy for the average person to read and understand what it is. The most basic way that I can describe it is, if you’re in favor of the late night hours going to 2am then you want to vote yes when you get to the ballot box. If you’re not in favor, then you’re going to vote no. Jeff Cheney: There’s some other mechanics that have to happen because technically if the yes vote wins out, then essentially what that does is it gives the right for the City Council to then vote again to have late night hours. Now in my opinion if the voters tell us yes that we want it, then that’s just more of an administrative function and it would pass the next council meeting. But just so people understand the mechanics of how that vote will work. The bottom line, if you’re in favor for it vote yes. If you’re not in favor vote no. Scott Ellis: When is the next City Council meeting after the election? Jeff Cheney: That’s right so election day is actually next Tuesday, which we will have a council meeting, so it will be the following meeting. The second half of November. Scott Ellis: So we’ll still wait a couple of weeks for the final, official word. If the citizens vote yes and the City Council says okay let’s pass this, how long before that takes effect? Is there a delay in that or does it become effective immediately and everybody stays open? Jeff Cheney: It becomes effective immediately. I do think there’s some administrative functions that each entity would have to have as far as possible permits and TABC and so forth. I’m not exactly sure about all the mechanics of that. That part of the process would be relatively quick for our existing restaurants that decide they want to take advantage of the new hours. Jeff Cheney: I would think so. Scott Ellis: Ready to go. Good. Well Jeff that helps clarify a lot of things. Thank you very much for coming back in. What can I say everybody, you’re going to hear this on Friday the 31st which is the last day to get out and do the early voting. So if you’re just catching this that day and you don’t have time, make sure you get out on the 4th and vote. We’ll see you there at the polls. Jeff Cheney: All right. Thanks Scott. Big thanks to Scott Ellis and Jeff Cheney for this conversation! We agree with the facts and statistics: uniform closing times, with hours shifted later so that our teen drivers are home safe, is the right public safety solution for the Frisco community. Too many people are spouting emotional anecdotes that simply don’t fit the facts. Glad to hear some reasonable dialogue on the topic.